Viamoura is one of the biggest, most complete and diversified tourism complex in Europe. It covers around 2000 hectares and is located on the coast 25km west of Faro international Airport. Vilamoura has many apartments and villas for holiday let, including ones located on the world famous golf courses. There are always apartments and villas available to buy in this exclusive area. From the old village, to an apartment in the marina, to one of the new developments located on a golf course. Vilamoura like a lot of the Algarve coast was settled by the Romans in the 1st century AD. In the Roman world it was well known for producing a fish paste, known as "garum". In the center of Vilamoura, there is a preserved Roman site. The site includes baths where the Roman mariners would come to bathe. 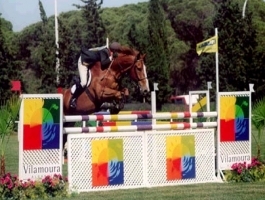 The history of Vilamoura the resort, as we know it today, started about 40 years ago. The first Vilamoura golf course, the Old Course, was founded in 1969. 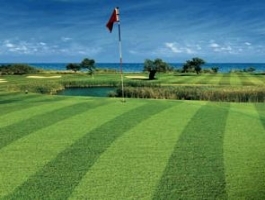 Subsequently the Pinhal, Laguna, the Millennium and Victoria courses have been built. Making Vilamoura one of the worlds premier golf resorts. Vilamoura is not just for golfers. Is is also a mecca for sailors. 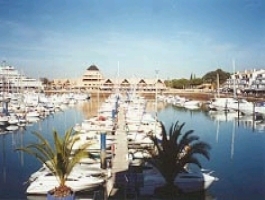 The exclusive Marina, with about 1200 berths was build in 1974 and thrives to this day. An international boat show and carnival sailing week are held each year. Vilamoura has a magnificent beach, stretching from the Marina, westwards to Falasia. It also has many other sporting facilities including a tennis center and a world famous riding school. Both of which hold international events.